Help your clients stay strong and vital throughout all stages of life. These courses are specifically intended as advanced training for those with at least basic skills in the health and wellness field. This Yoga teaching is for everyone who wants to stay strong and vital throughout all stages of life and help others do so, too. Learn the importance of addressing issues, correct alignment, preventing injuries and poses specific to certain health conditions, learn proper breathing, relaxation and more. 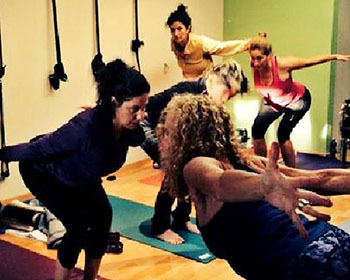 Take your knowledge to a higher level with advanced courses from BoomerPlus Yoga.